Below are additional product and service announcements made at the American Society of Human Genetics 2017 Annual Meeting, held Oct. 17-21 in Orlando, FL. Fabric Genomics has announced a series of collaborations at ASHG. The company said it has partnered with Genomics England’s 100,000 Genomes Project, Rady Children’s Institute for Genomic Medicine (RCIGM), and The Utah Genome Project (UGP), all of which use Fabric’s Opal™ Clinical genomic interpretation and reporting platform to help improve the clinical care of children. Opal Clinical includes the VAAST (Variant Annotation, Analysis and Selection Tool) and Phevor (Phenotype Driven Variant Ontological Re-ranking Tool) algorithms, designed to help rapidly identify disease-causing variants through machine-learning technologies. The algorithms have been used by to identify disease-causing variants in critically ill children—and are, according to Fabric, central to the analysis pipelines of Genomics England, RCIGM, and UGP. Fabric said Opal Clinical has been used to deliver more than 1,200 clinical reports for the 100,000 Genomes Project. The reports identified candidate causal genes, powered by VAAST and Phevor, which according to the company enabled turnaround times of less than one week for each case, on average. Rady Children’s uses Opal Clinical to identify disease-causing genes in critically ill newborns who are hospitalized in neonatal and pediatric intensive care units. As of September 2017, 34% of the children sequenced at RCIGM receive a diagnosis, and of those, 81% receive a change in clinical treatment, Fabric said. UGP is a large-scale genomic sequencing study that aims to study families to uncover genetic causes of disease and drug responses. It is partnering with Fabric Genomics to accelerate its analyses via Opal Clinical. Separately, Fabric and Edico Genome said they have developed an integrated solution for secondary and tertiary analysis of next-generation sequencing data. The solution combines Fabric’s Opal Clinical with Edico Genome’s DRAGENTM Bio-IT platform, with the goal of improving clinical care gaining through accurate biological insights for both inherited disease and oncology. The partnership builds upon Rady Children’s combined use over the past year of Opal Clinical and DRAGEN Bio-IT for delivering diagnoses for critically ill children quickly and accurately in the neonatal intensive care unit (NICU) or pediatric intensive care unit (PICU). Fabric Genomics is at Booth #513 and Edico Genomics, at Booth #710, at ASHG17. Agilent Technologies has expanded its SureGuide portfolio of pooled CRISPR libraries for functional genomics, now offering pooled libraries for CRISPR activation and interference (CRISPR a/i). As a result, Agilent said, its platform will deliver to researchers CRISPR a/i libraries incorporating gene targets developed by the University of California, San Francisco. “CRISPR activation and repression are novel research applications that will dramatically expand the utility of genome engineering, potentially revolutionizing disease research,” Kamni Vijay, VP and general manager of Agilent's Genomics Solutions Division and Clinical Applications Division, said in a statement. CRISPR a/i libraries target transcription start sites throughout the genome, allowing researchers to turn up, or down, the expression of individual genes and screen the resulting phenotypes. These libraries are designed to complement existing genome-wide libraries—as well as to accelerate drug discovery and functional genomics research. 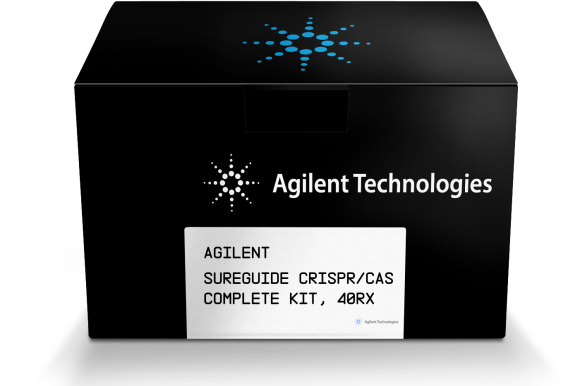 Agilent offers SureGuide CRISPR a/i libraries in both Ready-to-Clone and Ready-to-Amplify formats. With Ready-to-Clone libraries, scientists can specify the sequence of each guide in the library or choose from validated predefined subsets, such as kinases or cancer genes, of the genome. With Ready-to-Amplify libraries, scientists can fully design every aspect of the library including the tracer sequence, allowing for the use of alternative delivery systems, guide structures, and cloning approaches while targeting any organism of choice. Tomorrow at ASHG17, Agilent has scheduled a workshop highlighting its CRISPR a/i libraries and workflow. Customers will speak about their novel research applications using SureGuide CRISPR Libraries. Agilent is at Booth #906 at ASHG17. Genetic sequencing and copy number variant (CNV) detection performed together using expert-curated panels offers better diagnosis rates over sequencing alone in patients with neuromuscular disorders and childhood epilepsy, according to data presented by Invitae at ASHG. Using high-depth next generation sequencing with custom bioinformatics designed to enable simultaneous copy number variant analysis, the epilepsy study evaluated 2,267 patients and showed panel testing provided a molecular diagnosis in up to 24% of patients overall and had treatment implications for 21% of patients with positive results. The same underlying methodology was used in a similar study that evaluated more than 4,358 patients referred to Invitae for neurological and neuromuscular genetic testing. The study showed panel testing provided molecular diagnosis rates that ranged from 12% for dystonia to a high of 64% for spinal muscular atrophy. Invitae added that CNV analysis enabled by its custom approach accounted for a significant portion of the positive findings in both studies, up to 40%. Invitae is at Booth #211 at ASHG17.